Before I went to my friend who lives in Virginia, and have discovered I will be flying in and out of Baltimore, I rrequested that we go around Baltimore too. And that means crabs and crabcakes. I have seen many shows featuring a lot of the food there, so I was excited. The thing though was Baltimore is not really much of a tourist destination apparently. 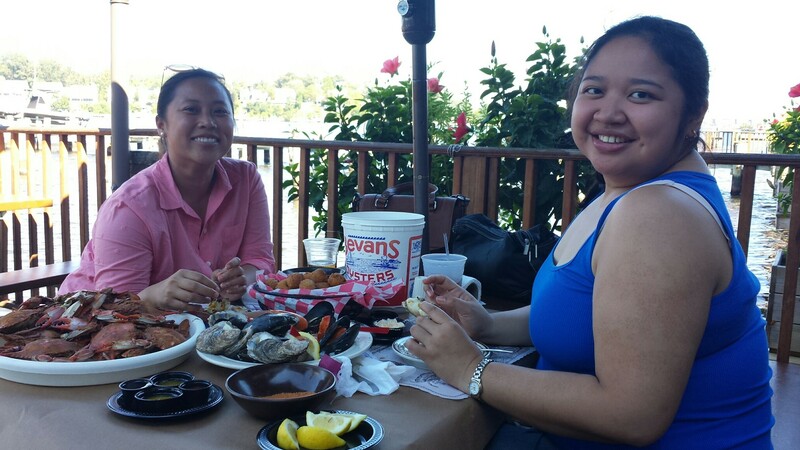 In the same day, we were able to try crab, crabcakes and tons more seafood, plus tour the city center. And that was about it. But hey. We had a feast shortly for lunch and you can see what we had. By the way, this is not in the city of Baltimore anymore. This was in Riva, on our way back to Virginia. The server was quite amused with our order, which we realized was a lot. 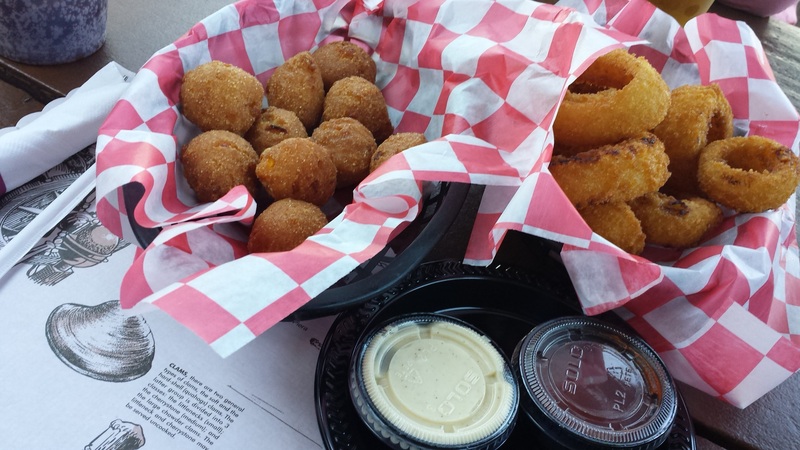 First we had onion rings and hush puppies. 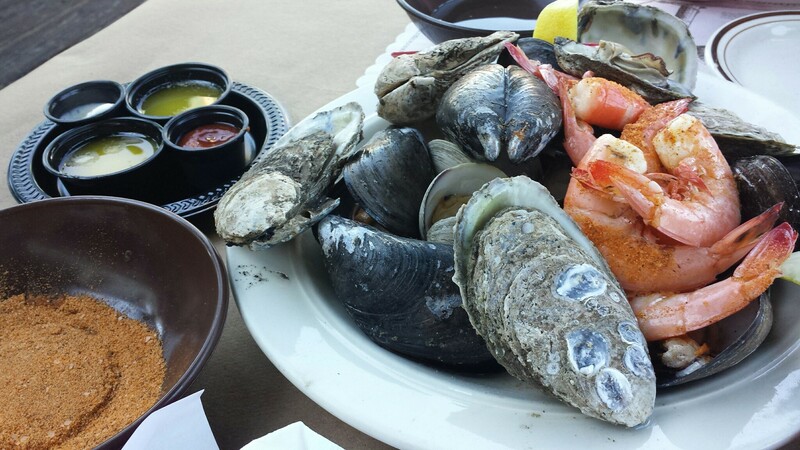 Then we ordered a plateful of steamed seafood (shrimp, mussels, clams, oysters). 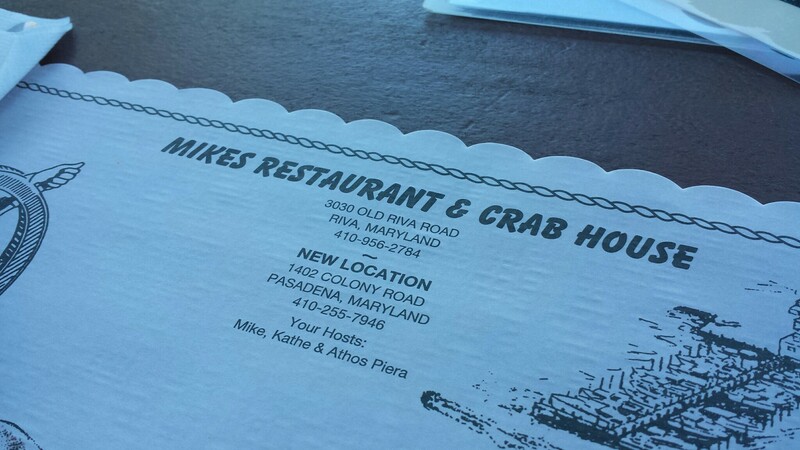 Then we ordered a dozen of medium crabs. Yep. A dozen. No wonder they were amused. But we went on and faced the challenged (and failed).